From the chapel of St. John, a 22-kilometer itinerary takes you across Ranuierboden to the parking lot Zannes and the Gampen Alp. From here, you continue on the forest road to the Zannes Alp, where the route continues to the Geisler Alp. Return to Ranui via the forest road. The tour takes about two hours and you need a good fitness level. The easy to moderate Sass de Putia Trail has a length of 59.8 kilometres, but it can be shortened. During this tour, you circle the Sass de Putia and Mount Ruefen. Along the way, there are trails leading to Bressanone and S. Vigilio. 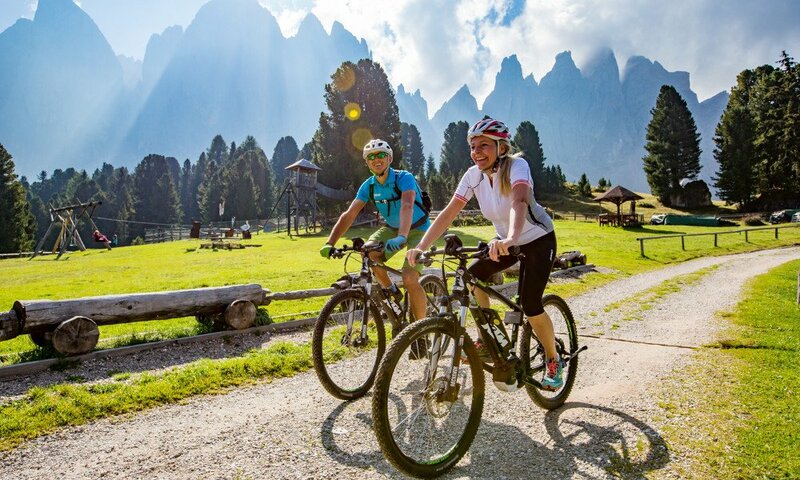 Other tours that are available during your bike holidays Dolomites in Funes include the Eores River, Luson Valley to Rasciesa and the Laion Trails. Detailed route descriptions are available at the tourist office in Funes. 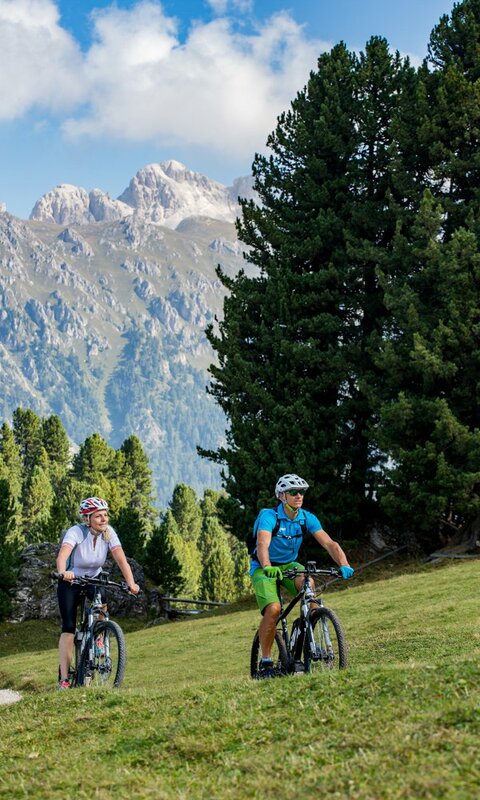 The Funes Valley and the Nature Park Puez-Odle count among South Tyrol’s dream destinations for mountain bikers. Maybe you too would like to take a bike tour, but you’re not sure if you’re fit enough? Now you may explore the Funes Valley by bicycle, starting directly from our farm Proihof. Without huffing and puffing, and free of muscle cramps – guaranteed. 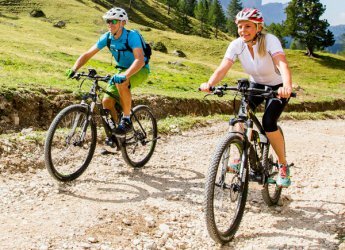 At the Proihof, you may rent electric mountain bikes from the top brand SPECIALIZED for a small fee. 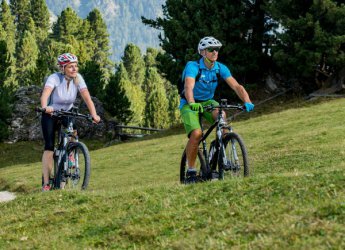 The dynamic electric motors will support you and will turn long and challenging tours into a pure pleasure, even if you’re not in top form for mountain biking. You will pedal against the wind with a smile on your face. 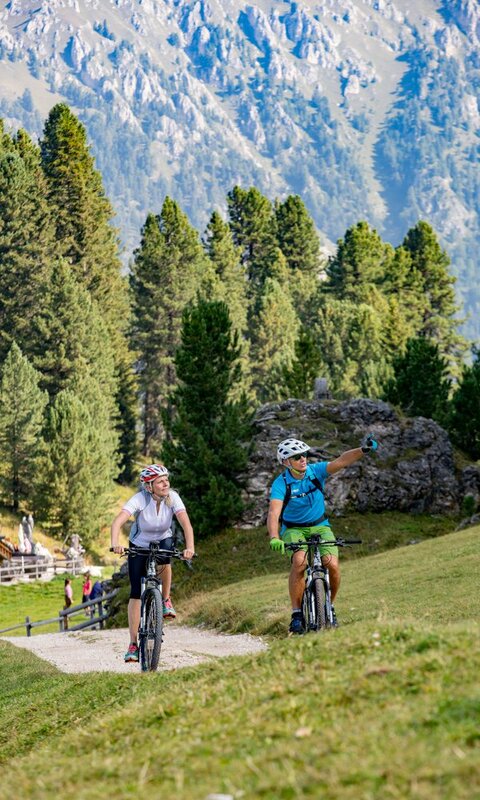 This way, you may enjoy bike tours starting directly from our house: Ride across the Zannes Alp and to the Funes Alp; take a tour of the Muntwiesn Meadows and to Passo delle Erbe; or simply enjoy the magnificent panorama along the southern slopes of the Funes Valley – the entire bike paradise of Funes is open to you. 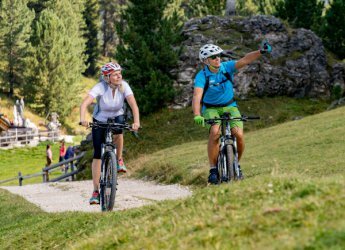 Look forward to exploring one of the most beautiful Dolomite valleys on 2 wheels and discover new perspectives!